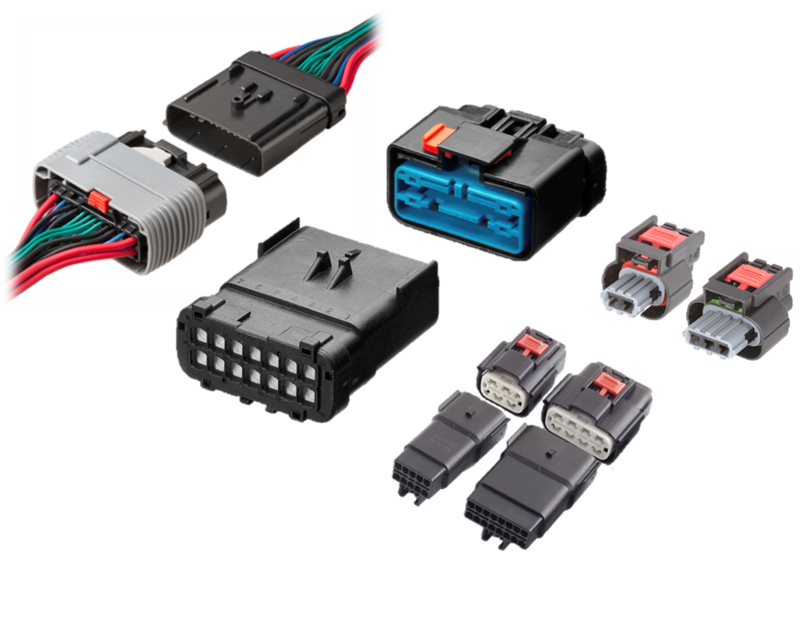 APEX electrical connection systems incorporates proven technology for harsh environments in automotive, off-highway, and specialty vehicles. These inline connectors are designed for applications where heat, vibration and moisture are a concern. These pre-assembled connectors minimize stocking inventory and are very easy to assemble and service. There are both sealed and unsealed versions in many configurations from 2-way to 24-way systems, capable of carrying up to 42 amps. Connection system with a wider range of sizes, circuits and options to meet unique design requirements. APEX 14-way and 24-way hybrid connectors are designed for wire-to-wire sealed applications in commercial, off-highway and specialty vehicles.